Over the past few weeks I have had several conversations that have pressed me into deeper examination of some convictions and beliefs that I find within my heart. Where have they come from, what do they really mean, and what impact do they have on my life? In the wake of several “religious” movies released recently the inevitable debates of how accurate or truthful they are has been the topic of many posts, tweets, and conversations. This is not a a review of any of them, however, I wanted to mention something that has stood out to me. In a large percentage of the conversations, tweets, or posts I have read there is a comment that seems prevalent. That comment is “at least they are talking about God”. At first that may seem like a very good thing. But upon a deeper look is that really a good thing? Is that enough to just be talking about God? Where is truth? What is truth? Does is matter? 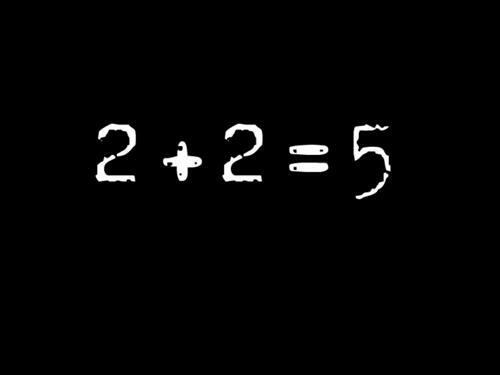 Take for example, your child is taking math at school, he comes home and tells you that his teacher told him 2 + 2 equals 5. You immediately call the school, take them to task for having a teacher that is using his own interpretation of the fundamentals of math. The school responds, just be happy the teacher is talking about math, would you except that? Before you jump all over me for comparing religious beliefs to mathematics, I am simply stating that truth should matter, It should matter to you and I , and we should in kindness, love, and mercy stand for the truths we know, teach the truths we know, and live the truths we know.